There is a special energy present where the dual forces of land and sea collide. The ocean unleashes it’s most dynamic power against the resistance of rock and earth. This meeting point has always held a profound resonance for me and has led me for a long time to seek out the freedom and solitude of wild places. I have found particular inspiration for my work in the remoteness and raw beauty of the wild Atlantic seaboard of the west of Ireland. The subject matter becomes a vehicle for paint, colour, rhythm and energy. What I am painting is essentially my own state of being, in an environment that makes my spirit come alive. The first layers of paint are applied with loose brush strokes and pure, rich colour. With the palette knife I discover my greatest freedom of expression, bringing the same essential energy of the elements to the image I am creating. 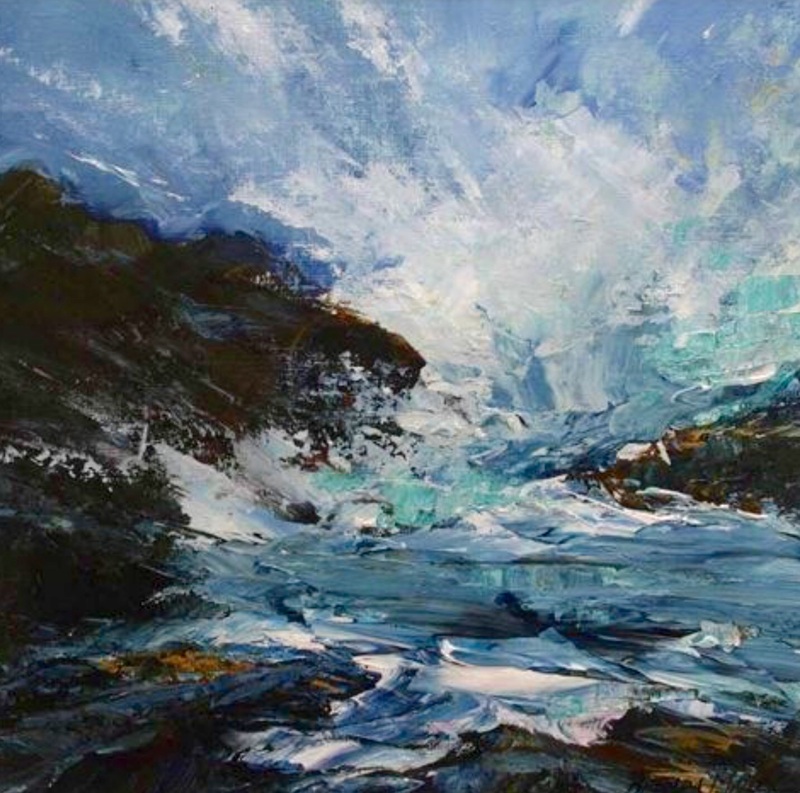 The rocks are dragged on, rough and hard edged, my brush strokes and knife work taking on a softer flow as I paint the fluid and rhythmic energy of the sea. 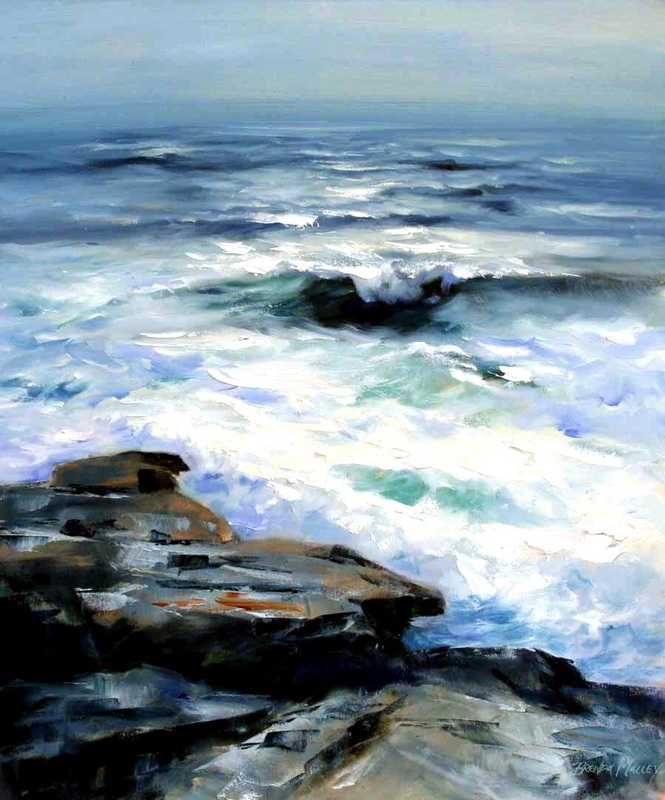 It becomes a kind of dance between artist and canvas, sea and shore, motion and resistance. 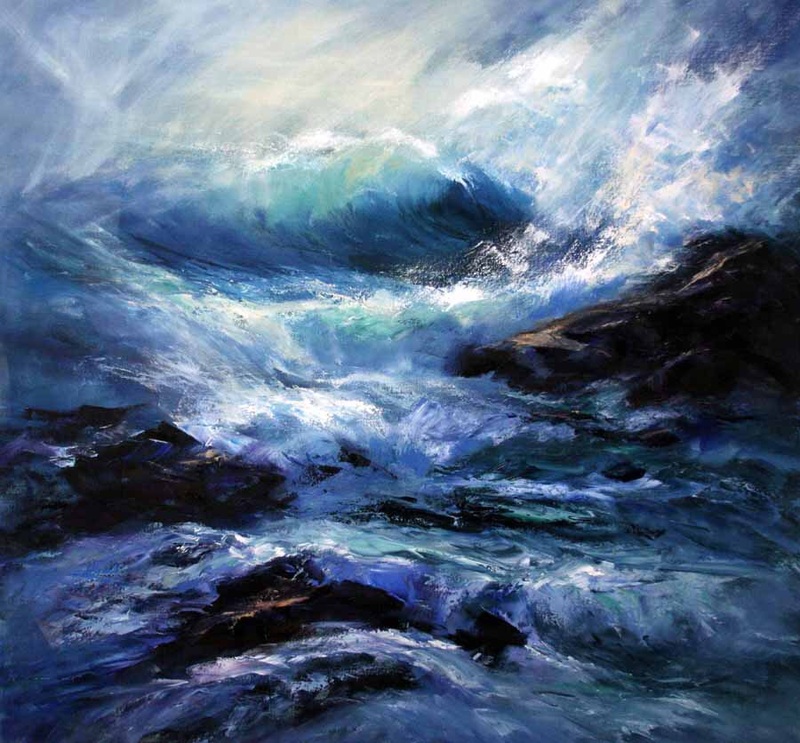 Painting a wave burst is pure joy, the freedom and release of the skyward surge. 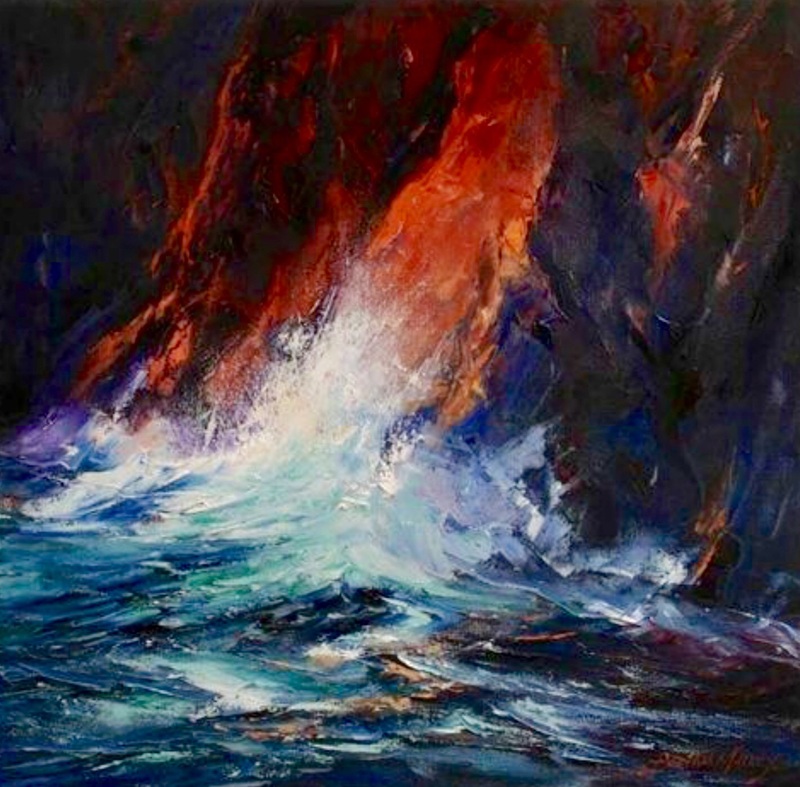 “Seasons of the Sea” is the culmination of a lifelong personal engagement with the natural environment, many hours spent on rocks and cliff faces immersed in the elements, and even more at the easel bringing these experiences to life through brush, knife, canvas, paint. 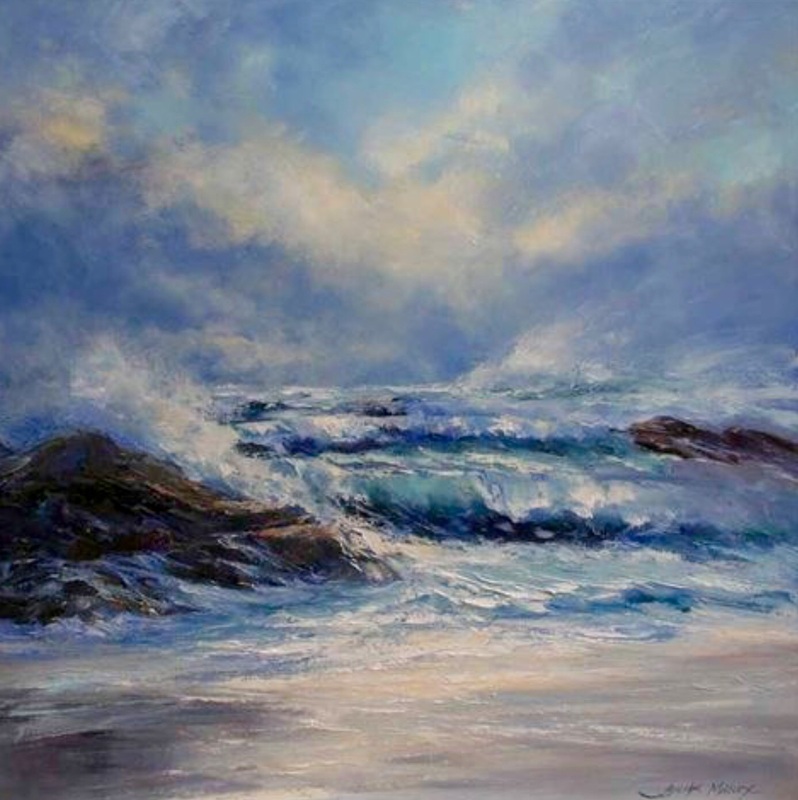 Mostly my art is a way of giving expression to that essential part of our spirit that is wild and free and deeply connected to the rhythms of earth and sea. What a beauty, Brenda! I love every painting, so full of life and color! Stunning! Bravo! Thank you Cristina, I especially love your sunny warm bright and colourful Mediterranean seascapes! Quite different from my cold, grey Atlantic pictures! Hi Fiona, thank you. I’m just gathering images and writing together to sort my art page into different albums. This was my first solo show in 2008. More recent paintings are a little more sunny, the Mediterranean climate is so different to the cold grey Atlantic! Best wishes to you. Spectacular Brenda, I loved that show! I love them all Brenda, and as Fiona said, I can almost smell the sea! Thank you Su. Still figuring out how blogging works and taking courage from you and your endeavours! Fabulous Brenda. I can feel all your energies in each painting. Beautiful visions . Thankyou. Thanks Leslee! Really appreciate positive comments! Many thanks Lorraine. Really appreciate your support.